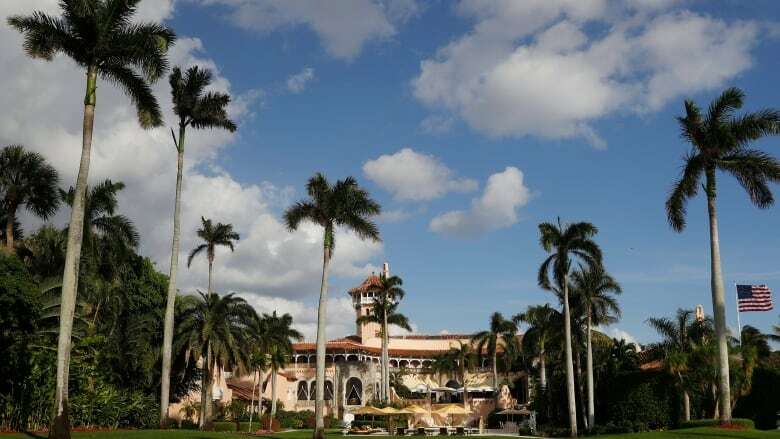 Mar-a-Lago, U.S. President Donald Trump's lavish private club and residence, hosts international leaders such as Thursday's visitor, Chinese President Xi Jinping. You can also pay to host a happy hour event there. A press pass doesn't get you very far at Mar-a-Lago, but cash does. Stern men in red golf shirts turn away journalists driving on to the property of the so-called Winter White House in Palm Beach, Fla., where today Donald Trump makes his sixth visit as U.S. president, to his lavish private club and residence. He is meeting Chinese President Xi Jinping. 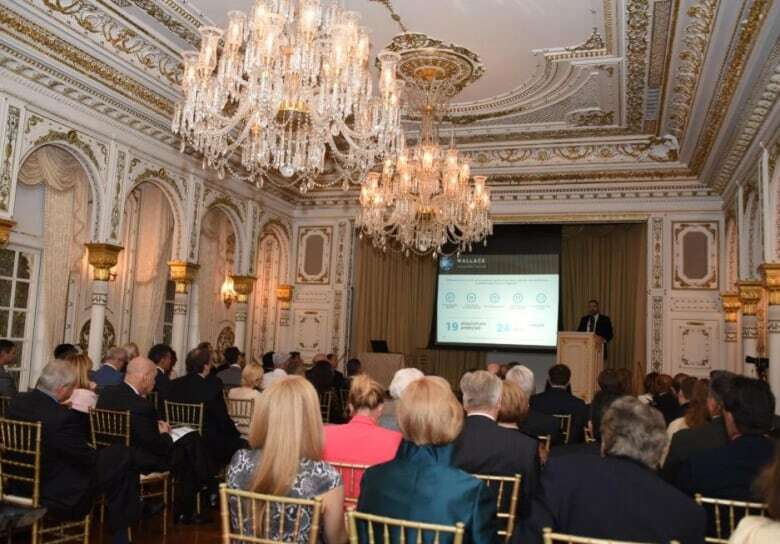 But last month, money — and a connection with the Palm Beach Hedge Fund Association — got a Canadian company through the door. Castle Ridge Asset Management won't say exactly how much it paid to host a happy hour event at the club. CEO Adrian de Valois-Franklin says the event did exactly what he hoped it would — give him a chance to pitch his product in one of the wealthiest neighbourhoods in America. "We wanted to do something pretty unique for them and right now Mar-a-Lago's really, probably the most exclusive club in the world," he said "There's a lot of mystique around it and it was a successful event for us. It was a crowd that was at capacity." Castle Ridge says it uses proprietary artificial intelligence software to predict market behaviour, promising big returns. Trump was expected at Mar-a-Lago the next day, and de Valois-Franklin admits that may be why some potential investors accepted the invitation. "Had we done it at the Breakers or Four Seasons, one of these places that a lot of hedge funds end up going to, it may have not made the splash that ultimately it did," he said. As wise as an investment as this may have been for Castle Ridge, it's exactly the kind of thing that concerns ethicists over Trump's use of private properties for public business. You can't book a happy hour in the White House Rose Garden. Trump may not run his many companies anymore, but he still owns them. And that's a problem, according to Robert Weissman, president of the advocacy group Public Citizen. "Every time he goes to these Trump properties it's an advertisement for these properties, and his refusal to divest himself of his business interests means that every time he does these things it's a conflict of interest" said Wiessman. "For someone who is obsessed with his brand, he is absolutely aware of what he's doing." Perhaps more blatantly: the initiation fee at Mar-a-Lago has doubled since Trump was elected, to $200,000. Weissman calls this capitalizing on his presidency "in the most direct and grossest sense of the term." But do Americans even care? Many voted for Trump because he's a businessman. The business editor of the Palm Beach Post, Antonio Fins, believes many supporters see Trump's use of his properties as a savvy move. "People who voted for Donald Trump could care less and in fact, they'll tell you, 'We voted for him because he's not traditional'" said Fins. Making money and showing it off has always been part of Palm Beach culture. Now it's part of the presidency. 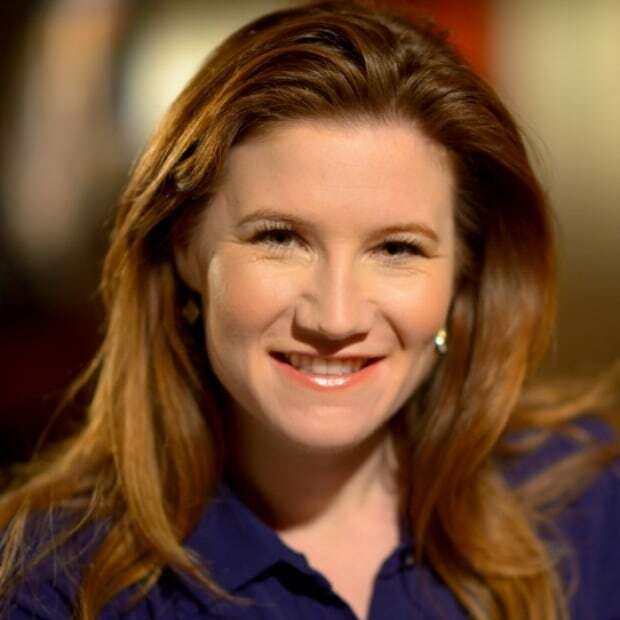 Lyndsay Duncombe is a producer and reporter in the CBC News Washington bureau. She travelled extensively throughout the historic 2016 election campaign, and co-ordinates coverage of U.S. politics for all CBC platforms.